Dún Laoghaire, both a Victorian and Modern town, has played an important part in the development of Modern Ireland. Its Harbour, the largest man-made harbour in Western Europe, was one of the great architectural/engineering projects of the 19th Century and remains an important working port as well as a valuable leisure facility. For over a century this was the main sea route between Britain and Ireland. 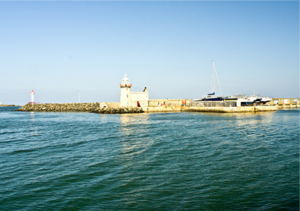 Ireland’s first railway in 1834 between Dublin and Dún Laoghaire was a major factor in the extraordinary growth of the Town, making it a fashionable resort for Nobility and the Landed Gentry. This is very much reflected in the Architecture which makes the town a set-piece for the Victorian period. Today Dún Laoghaire is a vibrant exciting place; a mèlange of the old and new. It is the Administrative Centre for the County and has its own Theatre, 12-Screen Cinema Complex, Maritime Museum, Golf Course, on-street shopping, two shopping centres, an excellent public transport system and ample car parking. 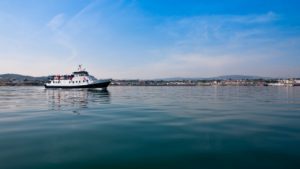 It is twinned with Brest, France and Ynys Mon (Anglesey), Wales and is an important yachting centre with four resident clubs and facilities for all water sports. 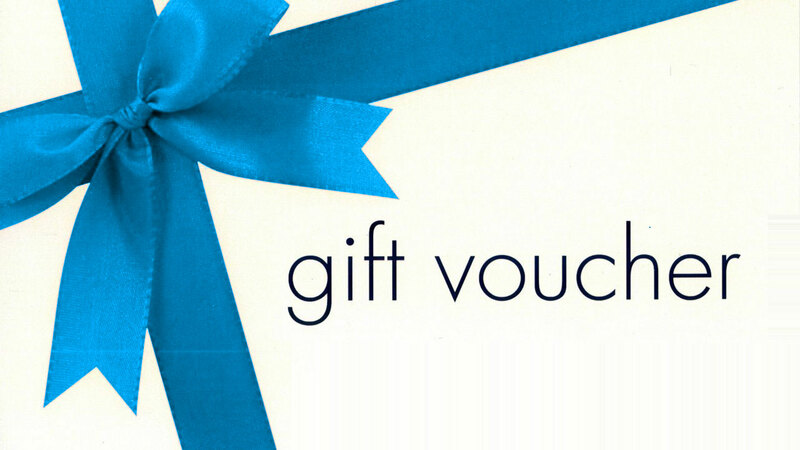 The Town is well served by Hotels, B &amp; Bs, restaurants, wine bars and pubs to suit all tastes. We are the ideal base, between the mountains and the sea, for a long or short stay. Howth (rhymes with both), is a fishing and yachting port, and popular suburban resort on the north side of Howth Head, 15km (9½ miles north-east of the city centre. Its attractions are easily appreciated, particularly at the coast. 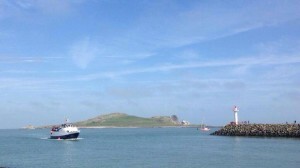 Howth Head gives fine views of Dublin Bay and the Wicklow Mountains or Boyne Valley beyond. 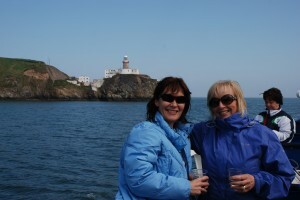 In the bay is the rocky bird sanctuary and monastic island of Ireland’s, to which boat trips may be taken in summer. 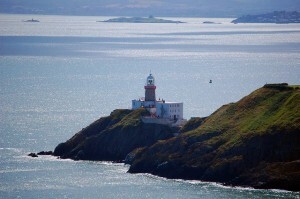 Cliff paths lead around the coastline, through Howth village and its ruined abbey, and past Baily Lighthouse. The 15th-century Howth Castle is inland, partly ruinous, but with fine rhododendron gardens. 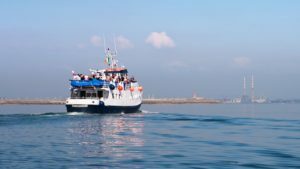 A small, but impressive, transport museum can be visited near the DART railway station, featuring Howth’s famous open-topped tram. 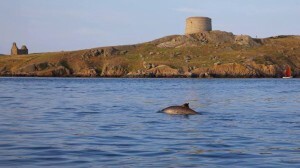 Howth’s pubs, hotels and fish restaurants make it a pleasant outing from Dublin.